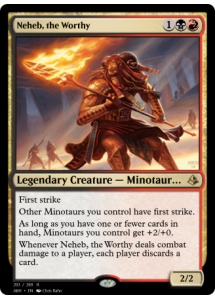 Other Minotaurs you control have first strike. As long as you have one or fewer cards in hand, Minotaurs you control get +2/+0. 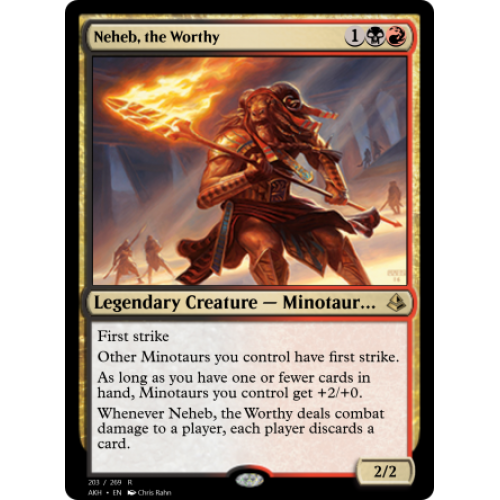 Whenever Neheb, the Worthy deals combat damage to a player, each player discards a card.